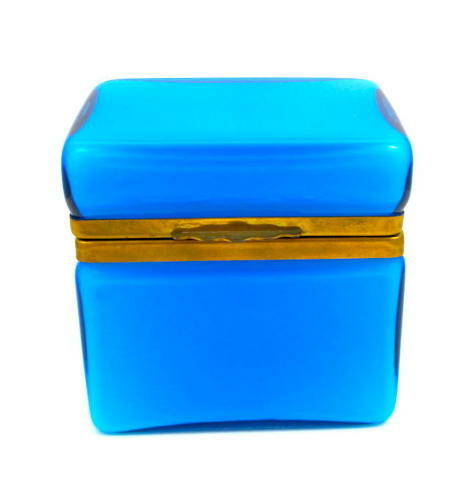 Antique Italian Murano Blue Opaline Overlay Glass Casket Box . This Wonderful Box has Smooth Gilt Mounts and Lift Clasp. The Outside is Blue Opaline and Overlays a White Opaline Interior. Stunning Scalloped Gilt Mounts Inside.